Fiji, an archipelago in the South Pacific, is known for its turquoise waters, white sand beaches, scuba diving, and smiling faces. We always dreamed of visiting this tropical paradise. Ready to escape the New Zealand winter, we set out for five weeks to soak in some sun. Fiji has two main islands, Viti Levu and Vanua Levu, with hundreds of smaller islands in between. 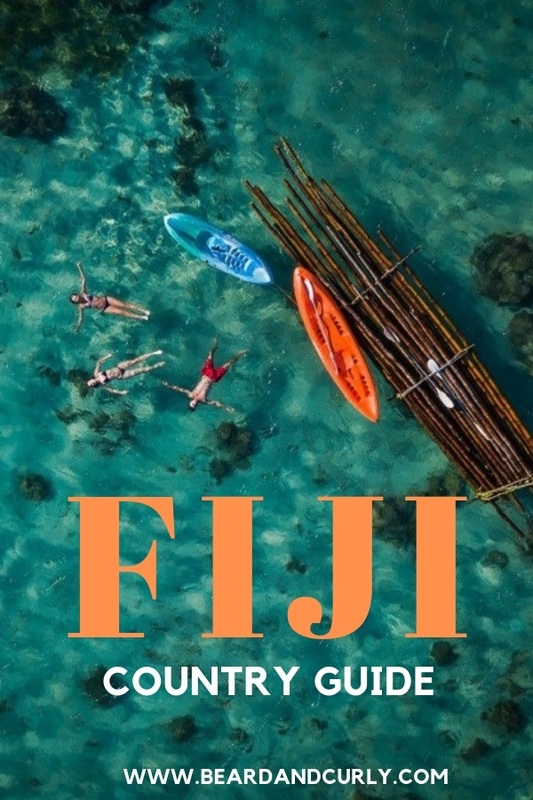 Whether you are looking for private white sand beaches, waterfalls, or late-night parties, Fiji will surely answer the call. No visa is required for foreign nationals from these countries. Visas are valid for four months. All other foreign nationals are required to apply for a visa prior to travel. 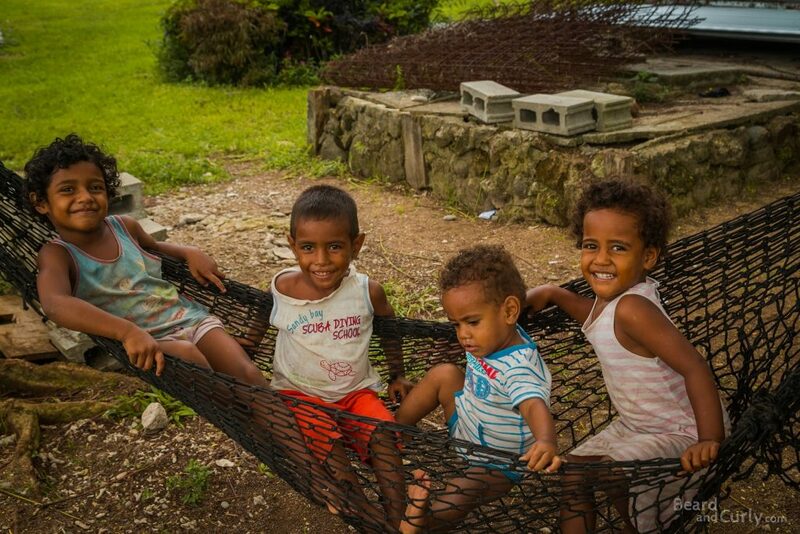 Fijians are very welcoming and always smiling. Social gatherings are a tradition which includes nightly kava drinking. Rugby is the national sport and one of the best, winning the Rio 2016 Olympic Gold Medal for men’s sevens. Food is an important part of Fijian culture. Don’t be afraid to take up an offer from a friendly local willing to share a home-cooked meal! The ideal time to visit is during the winter months, from June through August. Cyclone season is from February to April, so it is better to avoid Fiji during this time. However, scuba diving is best in the summer because of less wind and ocean current. The national currency in Fiji is the Fijian Dollar. At the time of writing (June 2017), $1 FJD = $0.48 USD, and $1 FJD = €0.43. All prices in this article are in FJD unless stated otherwise. The food in Fiji is delicious. Lovo is a traditional method of cooking food in an underground oven. Food is wrapped in palm leaves, topped with banana leaves and placed on hot stones. 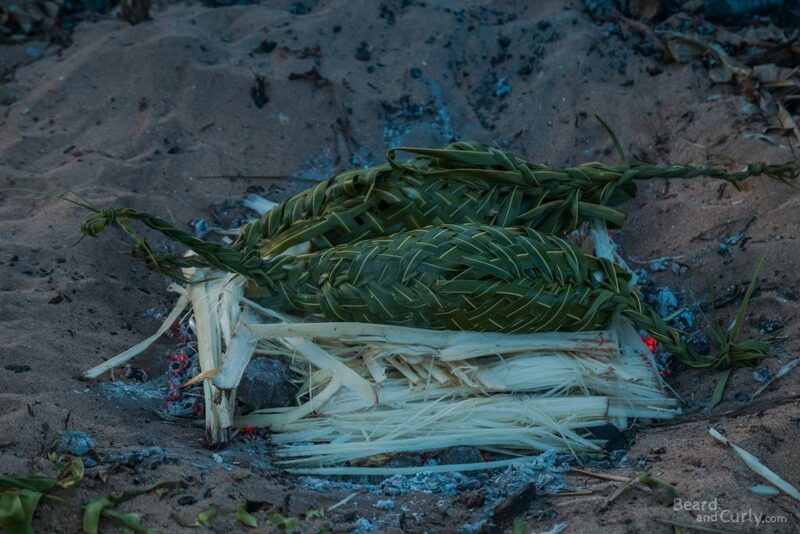 The food is then covered with blankets and sand, and cooked for several hours. Lovo normally consists of chicken, kasava, and palusami (taro leaf). It is prepared for important events and gatherings. Due to the abundance of ocean life, fish and octopus are a common staple in Fiji. Dishes are typically prepared with a coconut milk, either cooked (lolo) or raw (miti). Many resorts cater to tourists with non-Fijian plates such as burgers, fish and chips, curries, or pastas. In Viti Levu and Vanua Levu Indian and Chinese cuisines are available. Costs in Fiji have gone up over the past few years. While the country is “backpacker” friendly, the prices don’t always match up. Visiting the most popular places such as the Yasawas and Mamanucas are becoming expensive. Many hotels/backpackers on the islands require meal plans which can more than double the price of a dorm bed. It is possible to lower costs by staying in village homestays or camping. Other island groups are much less expensive. We stayed in Tavueni for a fraction of the cost. Land transportation is cheap, however, boat ferries to the Yasawas can get very expensive. We moved slowly, camped and didn’t do many excursions or diving. We spent $66 USD per day for two people. 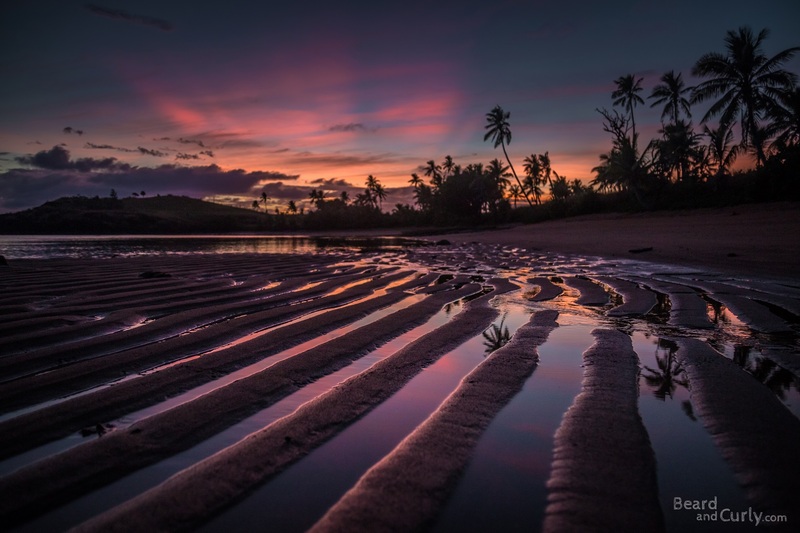 While travel is much cheaper in Asia, Fiji still is a great place for backpacking, especially in Taveuni or island hopping the Yasawa Islands. Viti Levu has reliable and inexpensive buses. Local buses run every 10 to 15 minutes. Sunbeam and Pacific are express buses between Nadi and Suva and leave often. Inter-island flights (or seaplane) is available, but expensive. Boat transportation is the best way between islands, but can still get expensive, especially in the Yasawas. Most people we met doing the island hopping with the Yasawa Flyer wished they just stayed at one or two resorts (recommendations below). Instead of getting a bula package, we recommend picking one resort and purchase return tickets with the Tavewa Seabus. Here are some transportation costs as of June 2017. The main island of Viti Levu has plenty of accommodation options including resorts, hostels, AirBnBs, and homestays. Dorm rooms in Nadi cost between $16-24. 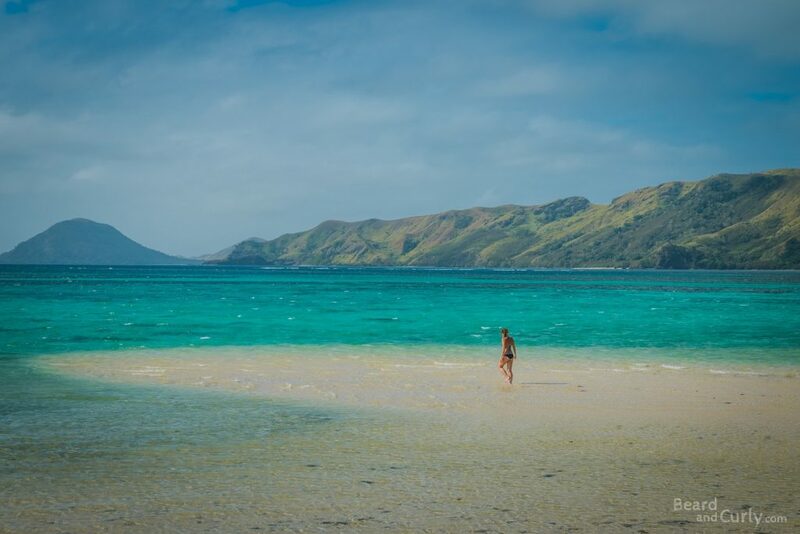 The best way to travel in Fiji is to explore the outer islands. Accommodation is different on each island with some remote islands consisting of only a single resort. Some islands have local villages and may offer homestays. In the Yasawas, prices for budget camping/dorms are $50 to $160 per person. Mid-range resorts start from $300. Many resorts require meal plans that cost an extra $70-$100 per day. Taveuni is considerably cheaper and offers self-catering. Check Agoda and Booking.com for the best rates, sometimes offering cheaper prices than booking direct. Because of the cost, we decided to not dive in Fiji. However, we heard incredible things about the diving. Diving with the sharks in Vitu Levu will set you back $500 USD for two dives. Diving in Tavueni will cost $340 USD for two dives. While it is very safe in Fiji and serious crime rarely occurs, there are small risks of theft in cheaper accommodation. As with any country, it is good to always properly secure or lock away valuables and cash. The main island of Fiji, Viti Levu, is home to 600,000 people. Most travelers will fly into Nadi, located on the west. Nadi itself doesn’t have much to offer, but is a great jump off point to the Yasawa and Mamanuca Islands. Suva, an industrial city and capital of Fiji, is located on the eastern shore of Viti Levu. A 3-hour bus ride from Nadi, Suva offers little for tourism. The Suva airport is the main airport for domestic flights and ferry to Taveuni leaves from the wharf there. Main attractions in Viti Levu are Natadola Beach, the Coral Coast, Cloud 9, and hiking in the Koroyanitu National Park. We really loved the Coral Coast! It is possible to daytrip from Nadi or to stay for a few nights. The beaches are beautiful and several resorts are known for their beach parties each night. 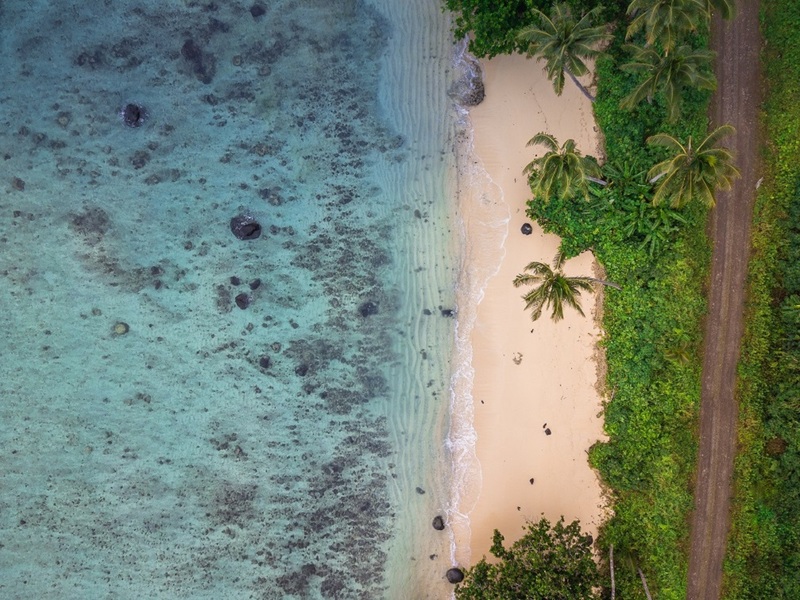 Check out the South Sea Island, Mana Island, and Beachcomber for overnight stays. Day trips are also available to Castaway Island, where the Tom Hanks movie Castaway was filmed. 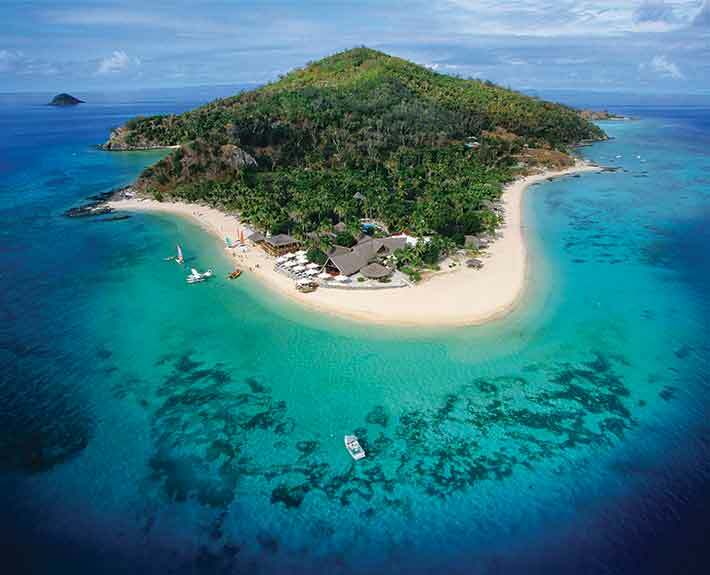 Located three to five hours by boat are the Yasawa Islands. The Yasawas are known for their stunning beaches. 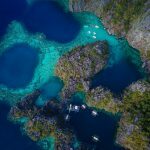 For the best beaches in the Yasawas, check out the Blue Lagoon (Nanuyi Island), Blue Lagoon Resort, Coconut Beach (near Coconut Beach Resort and Coralview Resort), Octopus Beach Resort, and Botaira Beach Resort. Avoid White Sandy Beach Resort, a nightmare for many while on island hopping trips. While visiting the Yasawas, activities include cultural village trips, snorkeling, manta ray snorkeling, and of course…beach lounging. Taveuni, the Garden Island, is the third largest island in Fiji. Home to beautiful waterfalls and world-class scuba diving. 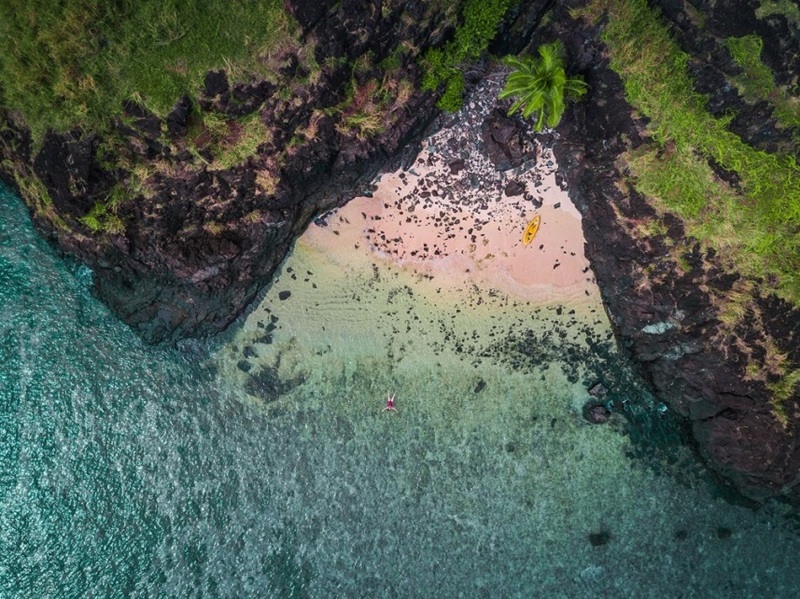 Taveuni has a much more laid-back vibe than the rest of Fiji. Getting here may be more difficult than other islands, but well worth the trip. 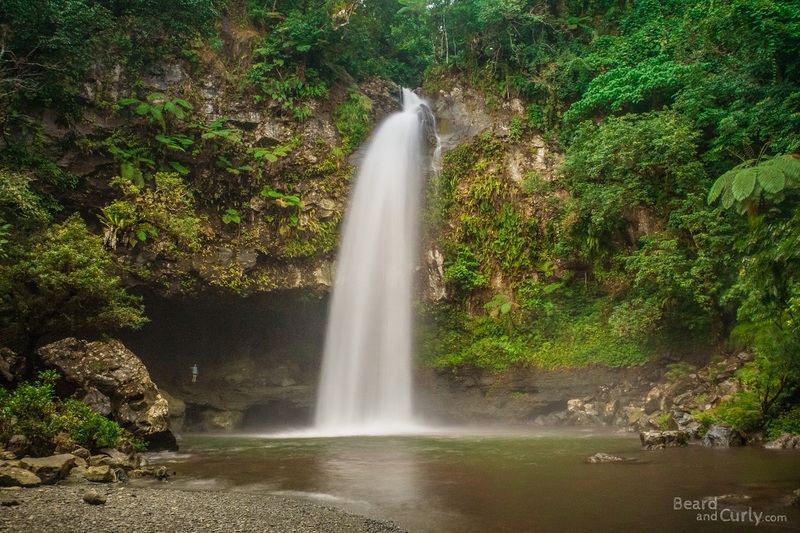 Main attractions are scuba diving, snorkeling, hiking the Lavena coastal walk ($25), hiking to the three waterfalls in Bouma ($30), and the natural waterslide (free, near Somosomo). If planning to hike the coastal walk and see Bouma, it is best to stay the night at Lavena Lodge. Very basic rooms are $30 pp which also covers entry to the coastal walk. Lavena is accessible by bus ($5 from Matei) and only 10 minutes to Bouma. Buses only leave three times per day, and only once on Sundays. Visited in June and July of 2017. It looks beautiful there! Thanks for including the best months to visit and the typical costs! Thanks so much for your comment. Definitely put this on your bucket list! Going to Fiji next year – this was so helpful, thank you! Glad it was helpful, you are going to love it there! I just loved Fiji when I went about 20 years ago now – it’s probably changed a lot. We were there not long after there had been a military coup! Love your drone pic- very special. Ahhh got too love the Pacific tropical Islands. I’m off to Niue in a few days, Can’t wait. Thanks so sharing! Wow Niue sounds like it will be so amazing. Let me know how it is! Love your photo’s, looks like it was a great place to visit. Wish we could have made it. That coastline looks stunning. I visited Fiji a year ago, and loved it! 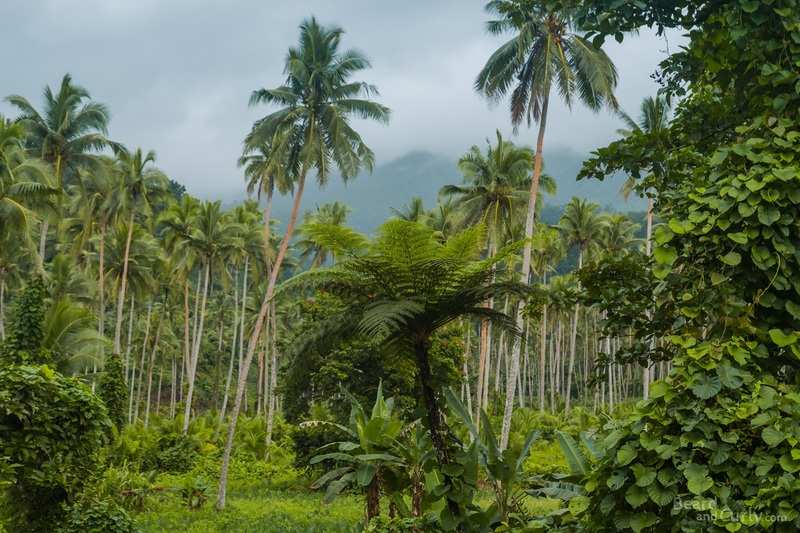 We spent time on Taveuni island, and fell in love with the area. The walks are lot of fun, and it was so nice spending time on the beach! Taveuni is great. It is alot less touristy. I loved all the waterfalls! Looks so inviting and a place I have always wanted to go. It really is! You should definitely add this one to your bucket list. Hope the post was helpful! Super informative guide with lovely pictures. That oven in the ground is very interesting! I think I would really enjoy this island. I love beautiful beaches, waterfalls and deliciozs food. The food is so good. Coconut cream with every meal. It’s really awesome to watch your food cooking in the earth. Hope you make it out there! Thank you for this lovely guide to Fiji. You’re very welcome. Hopefully it helps! I haven’t been to Fiji. It would be great to visit. Your detailed guide might be very helpful. Thanks for sharing. Wow, there is a huge difference in cost for Fiji depending on which activities you choose to do. 350$ for a two tank dive is insane. That’s almost a daily cost for a live aboard. Compare that with the free waterfall hike ad beach walk which is include in Taveuni and it’s a completely different scene. I know it’s so crazy right? We were planning on doing some diving be decided against it. It just really wasn’t in our budget. But I did hear amazing things about it. We are planning on doing a live aboard in Australia to make up for it. The beach walk and waterfall hike in Taveuni is really beautiful. Probably one of my favorite things we did there! Thank you so much. You really should visit. It’s such a welcoming place! Wow, Fiji really looks absolutely stunning! I wish I could go visit for 5 weeks, what a dream! It is! Five weeks was a dream. It was so nice to relax after 3 months of hustle in New Zealand. I’ve always wanted to see Fiji. Your photos are so stunning and giving me some major travel envy! Thank you so much!!! It is really a special place. Fiji is truly a tropical paradise! Your photos remind me why I need to go asap. That first photo of the beach is just spectacular! I’m really glad it was helpful. Let me know if you have any other questions! I only know Fiji because the golfer Vijay Singh is from there! It looks like a stunning group of islands. I think you must accept before going it will be expensive. I’m going to check out your drone shots now! Honestly, the price wasn’t too bad. We just expect for such a huge backpacker destination that it would be cheaper. By heading to Tavueni we were really able to get our costs down. Your drone photography is incredible; I just bid on a drone because of these pics! Fiji sounds like paradise, I’ve heard they are super friendly. The food sounds gorgeous too, cooking it in the sand is so cool! What a fab authentic experience you’ve had, I hope we are lucky enough to go one day! What a fantastic guide to this beautiful country! We were there over 10 years ago for our honeymoon, and just loved Taveuni. 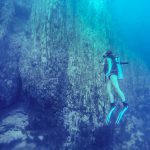 We splurged and went diving along the “Great White Wall” and it was absolutely spectacular! 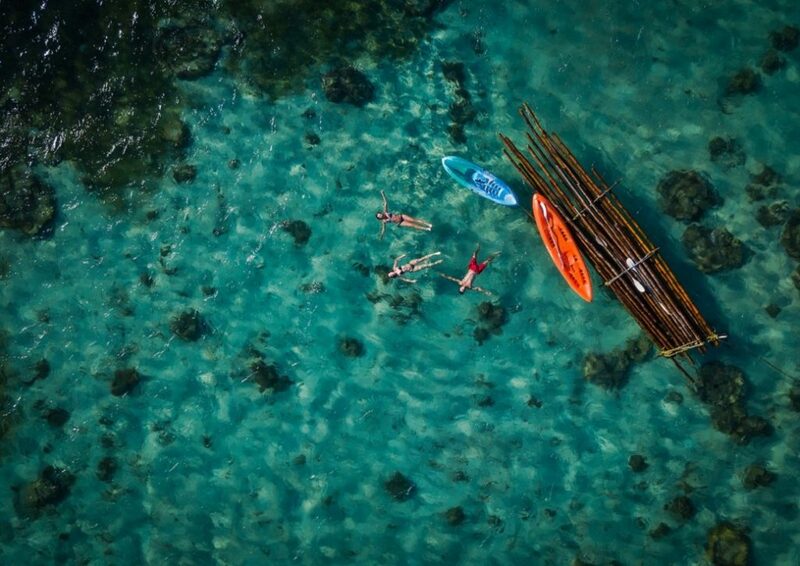 Your drone photos are stunning. I love the perspective they offer! We heard the Great White Wall was amazing. Super jelly you guys got to see it. Always looking for budget friendly places to travel too. This is going on the list. I would have never thought Fiji would be so reasonably priced. Yeah it can totally be done! Fiji sounds like an amazing holiday destination! I would love to try the lovo cooking. I have tasted something similar in Chile, where the entire meal was “baked” in the underground, on hot stones. It was delicious. Oh I never experienced that when I went to Chile. Sounds very similar. Fiji dear fiji!! It’s so beautiful and wow I love that!! I’ts def a holiday destination, my bff and I plan to go there next year. That’s awesome. It’s such a great place to visit with a partner. Man going to Fiji would be a dream! I would love to visit one day. I love the prices and it just seems so relaxing. Fiji is a dream. Hope you get a chance to visit one day. Did you click the first pic with a drone? Its a stunning shot! I’d totally love to go there to a private beach with my guy and spend some romantic time together!!! Wow! Cool to know that I won’t need a visa to visit Fiji!!! Is there anything good enough for vegetarians to eat? Yes it was. Thank you. Yana eats mostly vegetarian and it was super easy in Fiji. They make alot of veggies in coconut milk and it is super delicious. Fiji looks so beautiful with those white sandy beaches and the surreal hues of crystal waters, oh how have we missed this place for so long. This is a great post with comprehensive guide of things to know before visiting Fiji. We would love to try that traditional food and definitely snorkeling. It is an incredible place. Fiji is a dream destination and on my bucket list! Your pictures speak for itself how surreal it is! 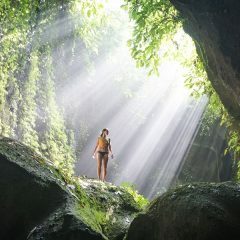 Hope to visit there soon someday in my life! Beautiful place and the people are gorgeous! The photos you took are wonderful! Definitely a place I’d like to visit someday. Fiji looks like a great place to visit. Those captures are so stunning. Fiji is one of my bucket list this year. I like how you provided a simple language guide as well as your expenditure to help people who are planning to travel there plan their itinerary! It really make it much more convenient! Love the photos you’ve shared! It’s so scenic! Thank you. A few words in a native language goes along way.